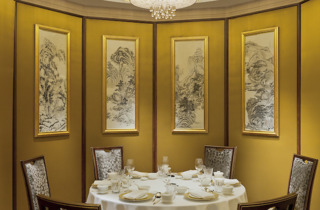 Luxurious reinterpretations of Chinese classics in a sumptuous space. 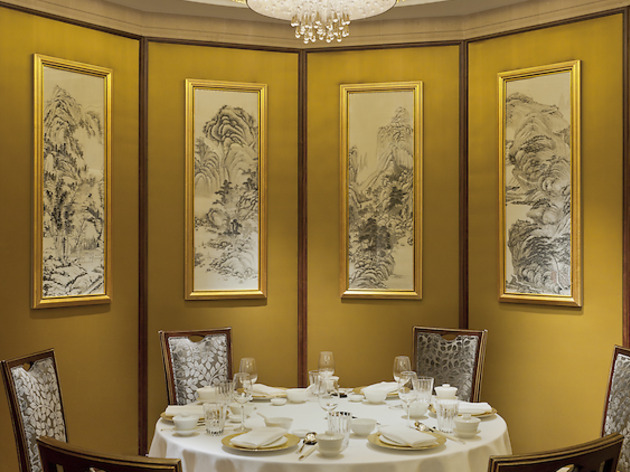 As the only Michelin-starred Chinese restaurant in France, Shang Palace certainly doesn’t disappoint with its subtle Asian décor (think marble tables and a carpet patterned with a Hokusai print) and a vast menu of dishes from the Canton and Huaiyang regions of south-east China. 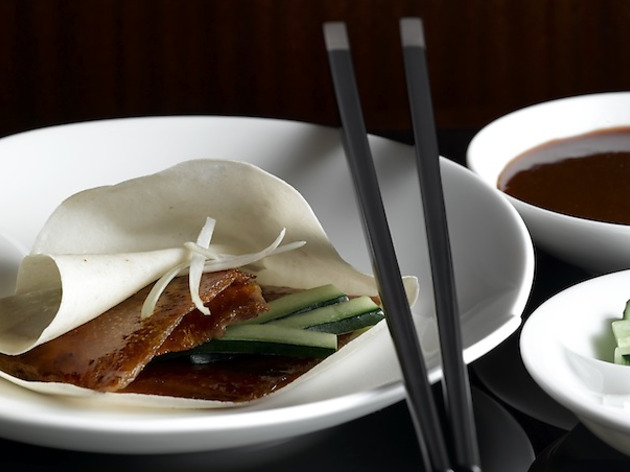 In the kitchen, chef Samuel Lee Sum focuses on refining classic flavours, presenting plates that are meticulously crafted and absolutely divine. 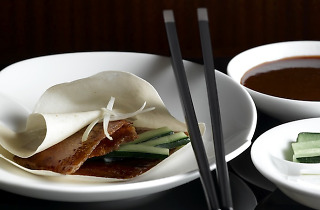 Our favourites were the soft red rice pancakes and delicate shrimp spring rolls, as well as the crispy Peking duck served with rice pancakes and a brown sauce. Another memorable dish was chef Sum’s fabulous reinterpretation of fried rice, made with honey pork and luscious strands of egg. 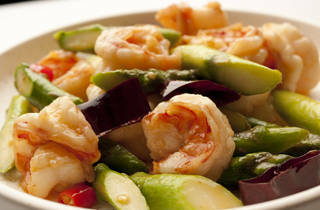 The menu’s range can be overwhelming so opt for one of the set menus (starting at €52) or ask the server for help. 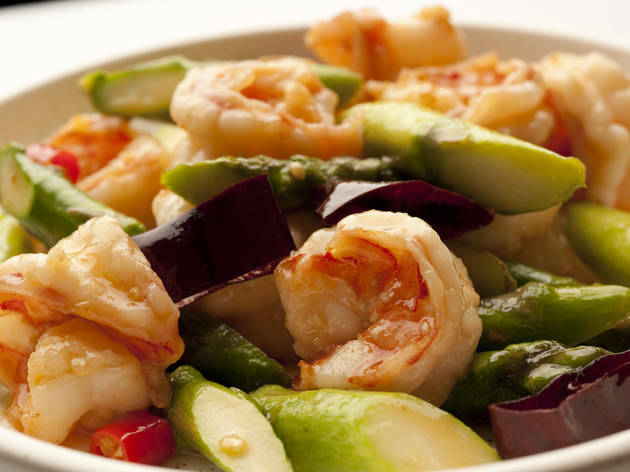 But whatever you order, prepare yourself for a grand meal.